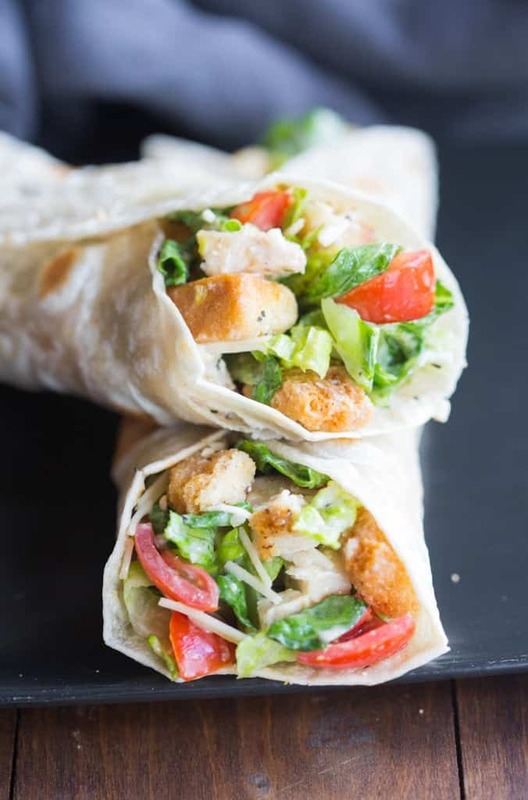 Chicken Caesar Wraps make a great easy dinner your family will love! Fridge to table in just 15 minutes! 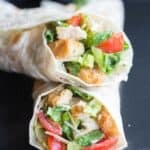 My family’s personal favorite on busy nights is wraps! My husband loves them and my kids devour them! I serve them with a side of cold cut veggies and hummus and some fresh fruit. 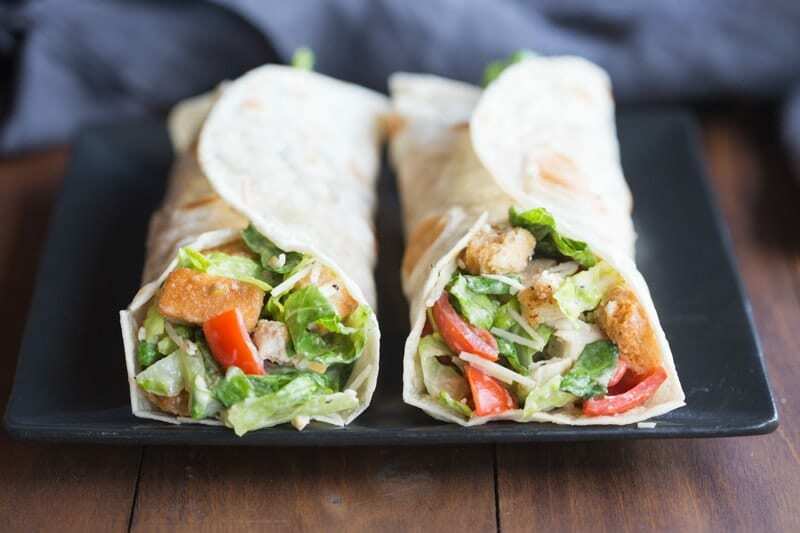 These Chicken Caesar Wraps could not be easier–especially if you use pre-cooked rotisserie chicken or leftover grilled chicken. Toss all ingredients, except for tortillas, together in a large mixing bowl. Place a large spoonful of mixture in a line along the center of the tortilla. Roll up and secure with toothpicks, if necessary. Do you have a Caesar salad dressing that you like? Thanks! Newman’s Own-Creamy Caesar or Girard’s Classic Caesar.